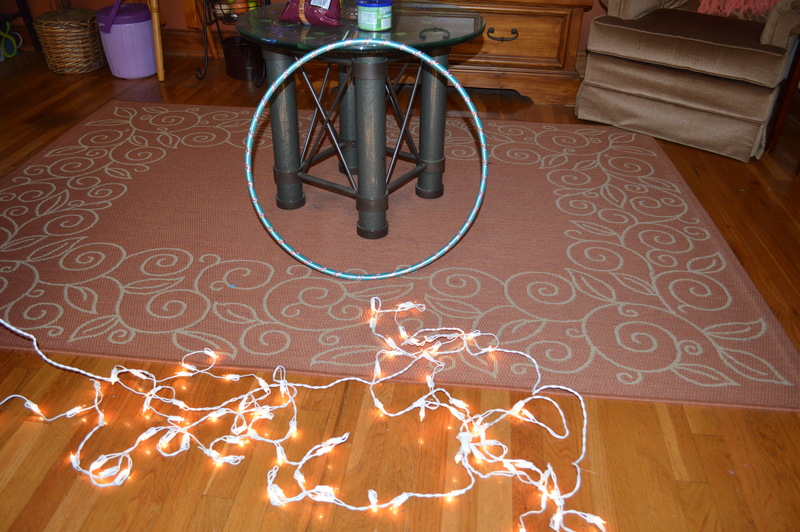 We found a great Hula Hoop light on Pinterest and we needed to recreate our own! 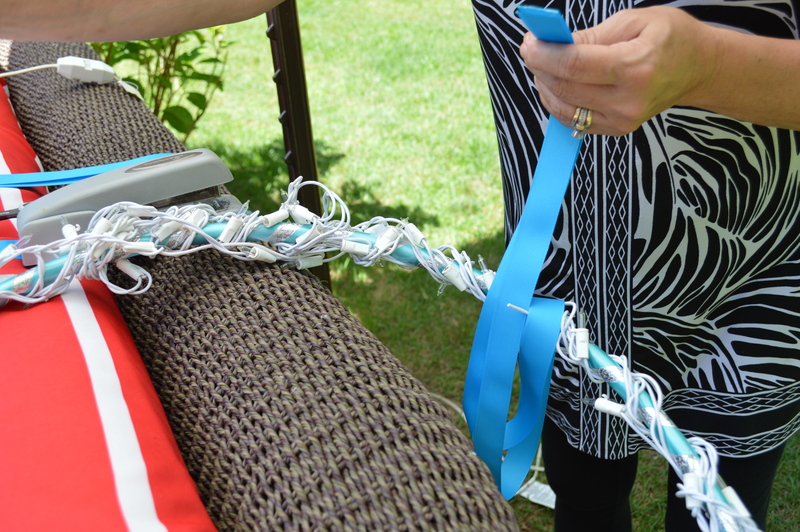 This light is cheap, easy to make and above all else, a really fun touch for your backyard! See how we put this light together in our step-by-step tutorial …. 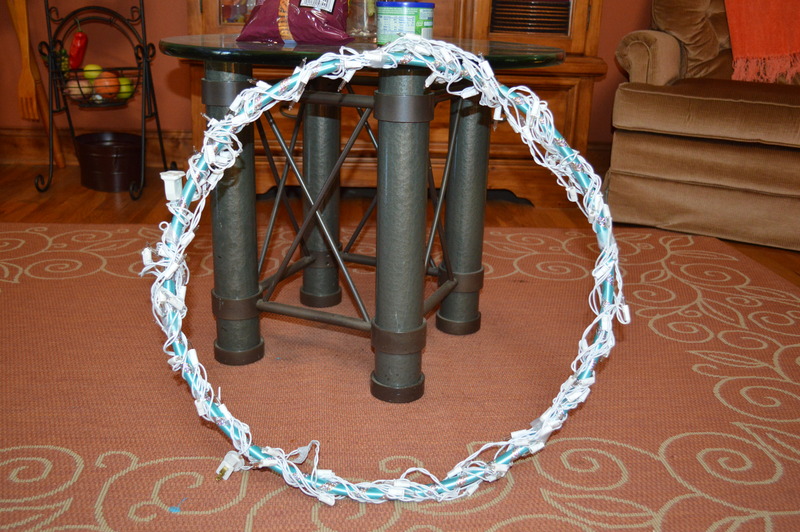 STEP 2: Slowly and tightly string the lights around the hula hoop. If you have excess when you reach the beginning again, simply keep stringing the lights, but more loosely to ensure you don’t have too many lights in one section. Stringing the lights while they’re lit will help prevent overcrowding in one region. 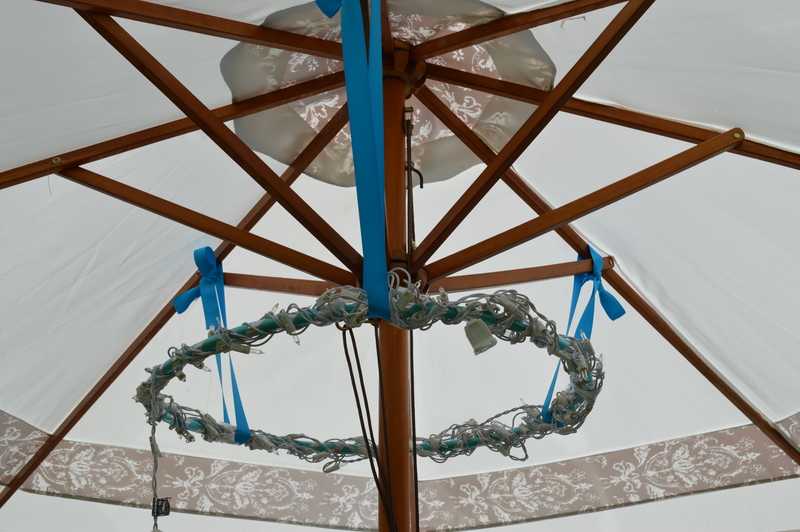 STEP 3: To hang our new light fixture under our umbrella, we found bright blue ribbon to match the color of the Hula Hoop. WALA! 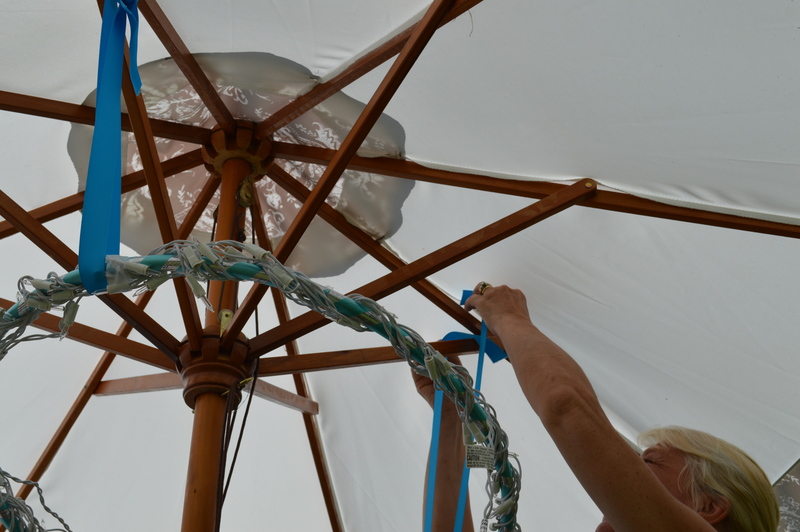 The finished product is a gorgeously unique light that will illuminate your backyard! Cheap and chic – Yea, we love it!